On behalf of the J.E. Washington Family and its employees, I welcome you to our on-line presence. In 1981, the first J. E. Washington Funeral Services establishment opened its doors within the city of Youngstown, Ohio. Since then, families in Youngstown and its surrounding communities have been treated with the highest quality care and compassion as they have experienced the loss of a loved one. Our reputation, built on personal & dedicated service, is recognized in the northeast Ohio and western Pennsylvania corridor. The funeral service is an expression that a death has occurred… but more importantly, it acknowledges that a life has been lived. Our commitment is to assist you by providing a meaningful service that honors and reflects the life to be celebrated. Our experienced professional staff is an integral part of this community. We live here, worship here and serve here! J.E. Washington Funeral Services has a sustained commitment of service which is reflective in the community engagement of the staff. While many funeral homes establishments are being purchased and managed as part of corporate franchises, the families which select J. E. Washington Funeral Services will experience a welcome difference. We remain dedicated to providing caring, compassionate and dignified service to our community. Today, we serve families from our two tastefully appointed locations within the Mahoning-Shenango Valley area. The hallmark of our services includes our attention to details, the inviting facilities, and the genuine concern of our family and staff to those who call on us in the time of need. With more than three decades of quality service to the Mahoning-Shenango Valley, we remain staunchly committed to meet and exceed the expectations of our clientele. The J.E. Washington staff is blessed to consider you a neighbor and friend. He is the former owner/operator of Youngstown’s first African-American commercial ambulance services with satellites offices in the Youngstown & Warren areas. Professional affiliations include founding member of the Youngstown Area Funeral Directors Association and member of the Ohio Embalmers Association. He is a member of Buckeye State Funeral Directors & Embalmers Association and the National Funeral Directors & Morticians Association. 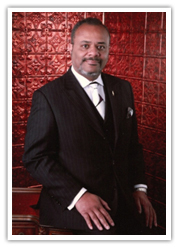 He is also a member of the Academy of Professional Funeral Service Practice. Only ten per cent of the nation’s funeral directors have earned membership in the academy and James is the first and only member in the city of Youngstown. James E. Washington, CFSP, has earned the designation of Certified Funeral Service Practitioner from the Academy of Professional Funeral Service Practice Inc. This is noted by the CFSP acronym, and this licensed funeral director must meet or exceed defined criteria annually to continue use of this prestigious designation. A select few have distinguished themselves among their peers within the funeral service profession as they continue their education to exceed the highest standards of care. This achievement is especially notable because James has voluntarily elected to participate in quality educational and service opportunities that far surpass what the funeral service licensing board in Ohio requires. James has committed to a program of lifelong learning to serve you and families in your community with the level of excellence expected of a CFSP. To learn more about the value of working with a CFSP, please ask James, call the Academy at (866) 431-CFSP or visit us at www.apfsp.org. The Board of Trustees of the Academy of Professional Funeral Service Practice commends you for choosing to put your trust in the hands of a Certified Funeral Service Practitioner. Community service is important as is reflected in the countless volunteer hours to organizations such as the American Red Cross, Associated Neighborhood Centers/McGuffey Centre, the Robert’s Deliberating Club and the Mahoning –Shenango Valley Deacons Union. He is an active member of the Tabernacle Baptist Church in Youngstown and serves as the Chairman of the Deacon’s Ministry. His family is an integral part of the J.E. Washington Services’ operation. Wanda and James’ share the joy of one adult son and four adult daughters. 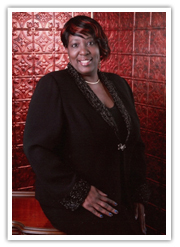 A native and resident of the Shenango Valley, Tamisha N. Wise has a well established presence within the community. With a heart of compassion for those who are grieving loss, she was inspired to become a healing agent as a funeral director. The 1992 Farrell High School graduate obtained her undergraduate degree in Mortuary Science from Gannon University in Erie, PA. She continued her professional education and is an alumnus of the Pittsburgh Institute of Mortuary Science in Pittsburgh, PA. Licensed to practice as an embalmer and funeral director in Pennsylvania and Ohio, she has been with the J.E. Washington Funeral Services Inc. since 2002. Tamisha is the proud mother of a son, Isaiah S. Jones. She is a member of Cedar Avenue Church in Sharon, Pennsylvania. She has a passion for photography and during her spare time she enjoys sewing, creating hand-crafted items and spending time with her family, which includes her faithful and loyal dog, Little Girl.